Experience :- 1-3 YEARS Mandatory. 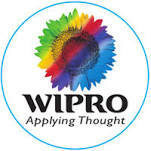 About Company :- Wipro Limited is an Indian Information Technology Services corporation headquartered in Bangalore, India. In 2013, Wipro demerged its non-IT businesses into a separate companies to bring in more focus on independent businesses. As a Developer, you are responsible for development, support, maintenance and implementation of complex components of a project module. You should be able to work as an independent team member, capable of applying your own judgment in the areas of software development. You should have thorough knowledge of at least one development technology/ programming language, and the related tools.